PORTSMOUTH’S fastest-growing congregation will move its main Sunday service to a historic church building after outgrowing its current premises. Harbour Church is to work in partnership with St George’s Church in Portsea from this summer. The two congregations will share the 18th century building opposite Gunwharf Quays as they work towards merging. The St George’s congregation will continue with its regular Communion services at 9.30am each Sunday. Then the two congregations will share coffee and pastries together from 10.30am before the Harbour Church service starts at 11am. The Rev Alex Wood, who is vicar of Harbour Church, will become priest-in-charge of St George’s. 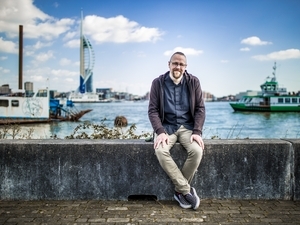 And the Rev Matt Bray, who is curate at both Harbour Church and Portsmouth Cathedral, will take specific responsibility for the St George’s congregation. Ultimately, the aim is to create one thriving church that plays a pivotal role in the local Portsea community – as well as continuing to reach the young people and students that are attracted to Harbour Church. Harbour Church is also starting a brand new family service at St Alban’s Church, Copnor, building on the work already done with families at its weekly Tots and Toddlers group. The Rev Alex Wood is also priest-in-charge of St Alban’s. The new service at St Alban’s will be launched on June 3. Each Sunday at 4pm, St Alban’s Church will offer families free coffee and cake, plus a bouncy castle, toddlers’ soft play area, face-painting and a photo booth. There will then be a half-hour presentation including lively songs, drama and prayer, after which parents and children will share tea together. 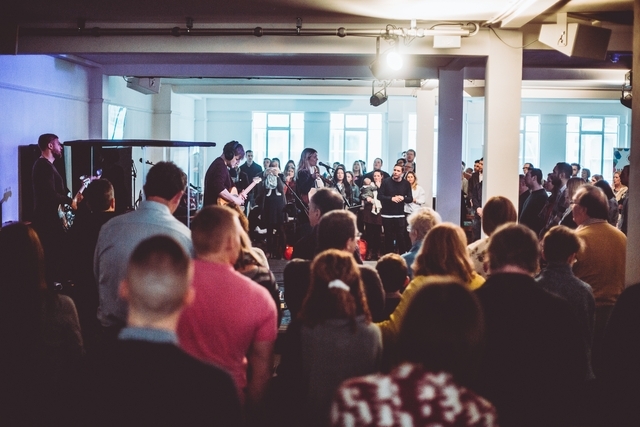 Harbour Church was originally launched in a refurbished department store in Commercial Road in September 2016, with a core group of just 20 people. 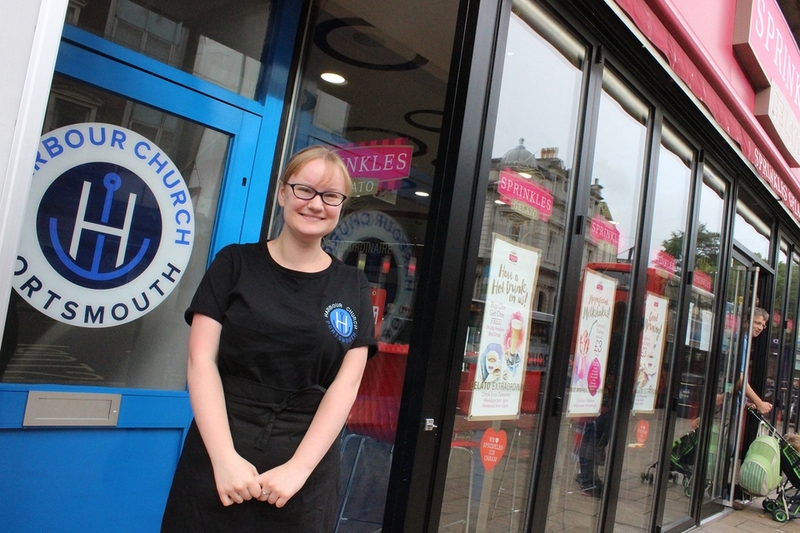 The Bishop of Portsmouth invited them to move from Brighton to set up a brand new church appealing to students and young people. Now the new congregation is welcoming 320 worshippers each week, with an average age of 26. Its main Sunday service, which includes separate groups for children and young people of different ages, needs more space. Meanwhile, St George’s Church, which was built by shipwrights in 1753, has celebrated more than 250 years of faithful worship and service. It has built a reputation as an inclusive church whose members seek to serve the local community in Portsea. Sundays at 10.30am: Harbour Church’s main Sunday service will take place at St George’s. They’ll start by sharing coffee and pastries with the St George’s congregation before worship begins at 11am. Sundays at 6pm: Harbour Church’s 6pm Sunday service will still take place in its current Commercial Road premises. Alex said: “I have always been passionate about church being a place full of life, where people can find real friendship and community, and discover a faith that is real, and a relationship with Jesus that brings freedom. “We are part of a church planting movement that wants to see churches revitalised across the UK. At Harbour Church, we have a role in helping Anglican churches in the city to thrive. “That’s why we want to work together with the existing congregations at St George’s, Portsea, and St Alban’s, Copnor, to help them to reach out to their local communities in new ways. We aren’t taking over – we genuinely want to work in partnership with them. Rachel Scott-Thompson and Sarah Everett, churchwardens at St George’s, said: “We are pleased to welcome the Harbour community and look forward to working together with them. We may be a smaller congregation than Harbour and used to a more traditional style of service, but we are excited about the potential for us to grow together and learn from one another." Alpha Courses, which aim to explain the Christian faith to those who aren’t yet churchgoers. 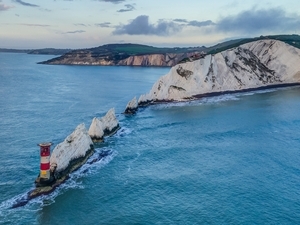 The launch of Harbour Church was part of a strategy by Portsmouth’s Church of England Diocese to create new worshipping communities across south-east Hampshire and the Isle of Wight. That strategy was supported by a £929,000 grant from the national Church of England, which also helped to pay for a network of pioneer ministers – to create new congregations and to help existing ones to engage more effectively with local communities. For more details about the church’s ministry, see www.harbourchurchportsmouth.org, To read about the diocese’s strategy, see: www.portsmouth.anglican.org/strategy.